Made for modular or European cabinetry. May be used when there is no wood framing on top of drawers. 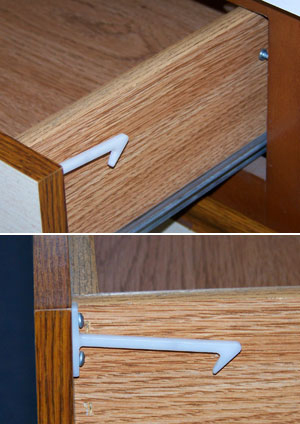 This unique latch does not block drawer access.